Capitalizing on the skills on out talented professionals, we have set benchmarks of the quality of our products. The range offered by us includes Chocolate Enrobers and Cooling Tunnels, Fat Melting Tanks, Chocolate Melting Tanks, Chocolate Chips Lines and Chocolate Refiner Conches. 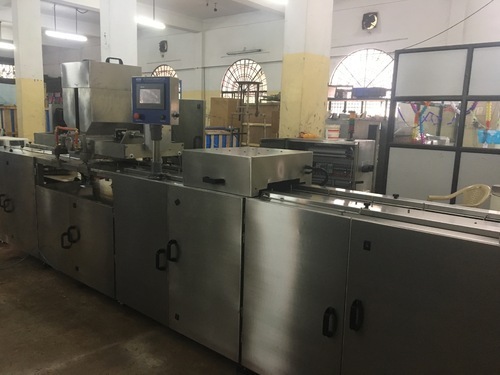 Apart from these, we also offer Chocolate Moulding Machines, Chocolate Moulding Lines, Chocolate Depositers, Chocolate Enrobers. We are also instrumental in offering complete solution method for the production and packaging of chocolates in the form of turnkey project. In addition to manufacturing, we offer integrated solutions that encompass installation and maintenance services as well. Our organization is also renowned as a prominent manufacturer of cooling tunnels. With the use of cutting edge technology and advanced designing technology, we offer products of high quality.